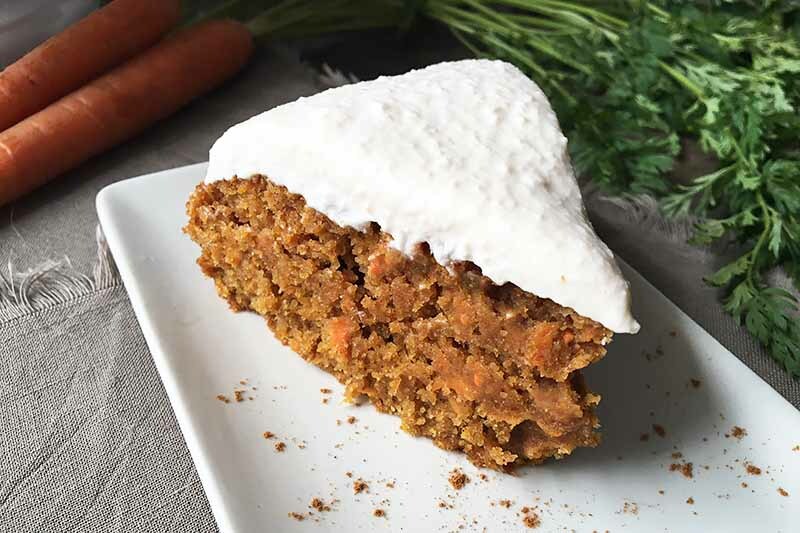 For a healthier and lighter carrot cake, make this spelt flour and sucanat version decorated with a fluffy ricotta frosting. 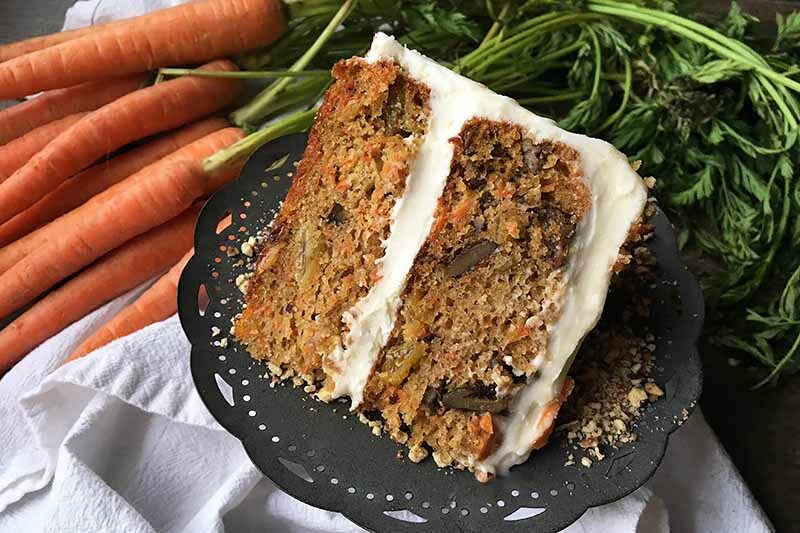 Enjoy heavenly slices of cake speckled with vibrant carrots. Moist and spiced, it is nicely balanced by hints of pure maple syrup in the frosting. Learn how to make the recipe now on Foodal. 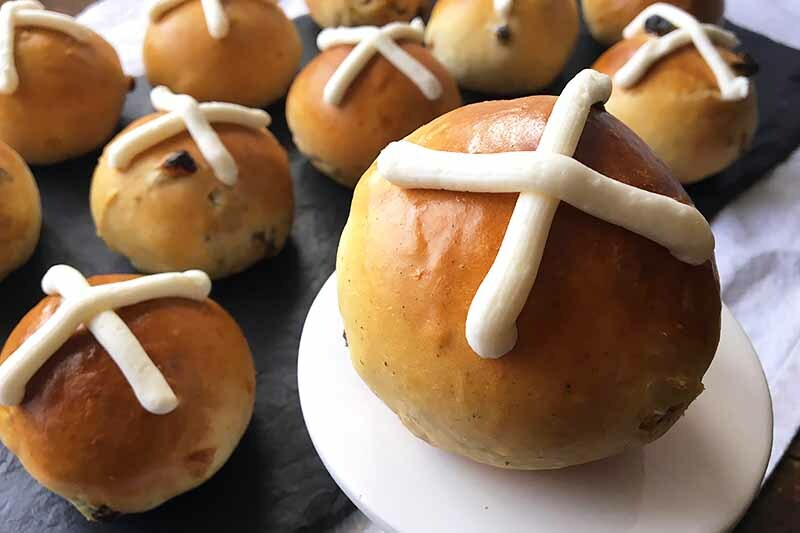 A traditional British Isles bread that’s popular to bake for Easter, hot cross buns are thought to be a sign of lasting friendship. This recipe is a sweet way to begin an Easter tradition in your family, and to share in the many legends that are associated with this fluffy delicacy. Read more now on Foodal. For a beautiful (and edible!) 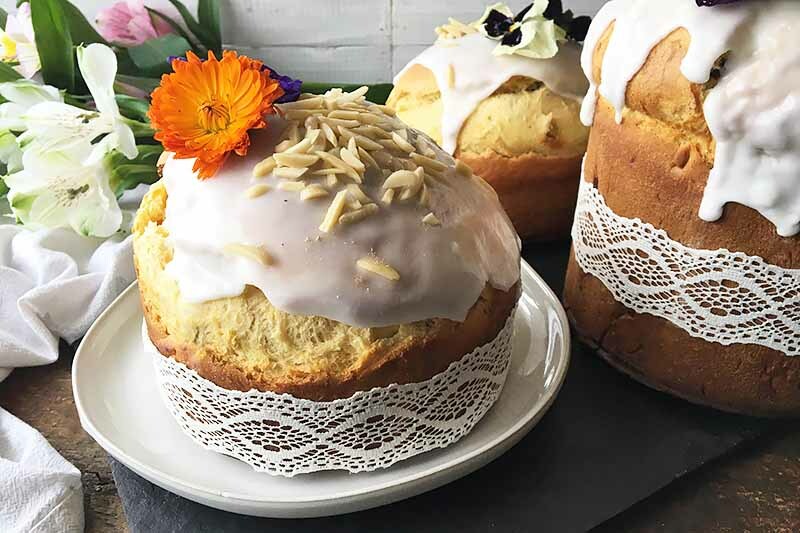 centerpiece on your Easter table, bake kulich, a traditional Russian bread. Soft and delicious with dried fruits, nuts, and cardamom, it’s ideal for Easter brunch. Cover with a sugary glaze, and enjoy every sweet slice. Save the rest for French toast the next morning. Read more now. 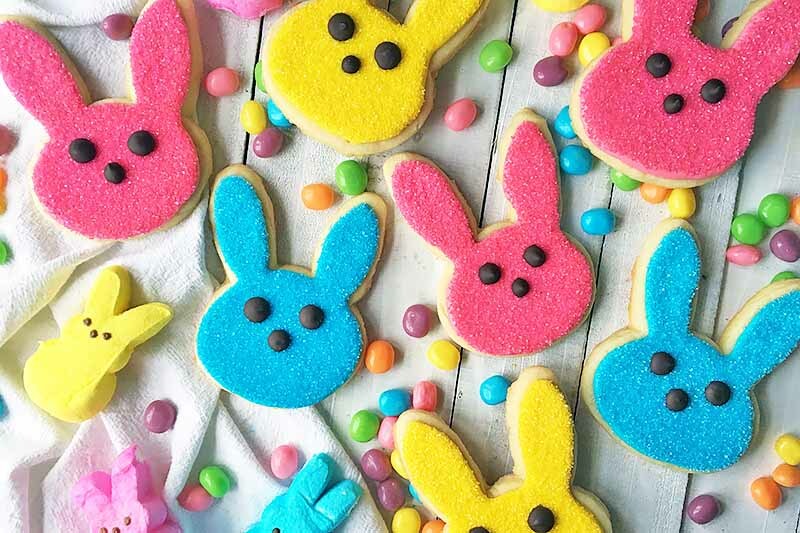 Peeps-inspired bunny cookies will be your new Easter favorite to make every year. We cover sweet and tender vanilla sugar cookies with colorful sanding sugar, and pipe on cute eyes and noses. They look just like the marshmallow candies. Celebrate the spring holiday with something sweet, and get the recipe on Foodal. 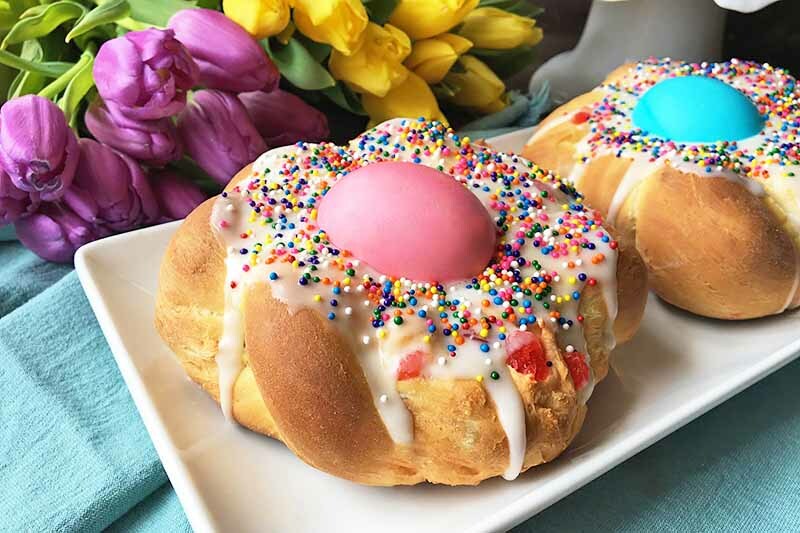 Whether this traditional Italian Easter Bread reminds you of something your great-grandmother used to bake, or it’s a new recipe that you’ve never made, give it a try this year. Topped with a festive dyed egg, you’ll love the dough mixed with an assortment of candied fruits, nuts, and anise seeds. Read more on Foodal. Each layer of this classic carrot cake is filled with toasted pecans and plump golden raisins. And it looks gorgeous covered in thick cream cheese frosting. Even on its own, this dessert – dark, moist, fragrant, and bursting with bright orange shreds – is a beautiful way to eat your veggies. Get the recipe on Foodal. 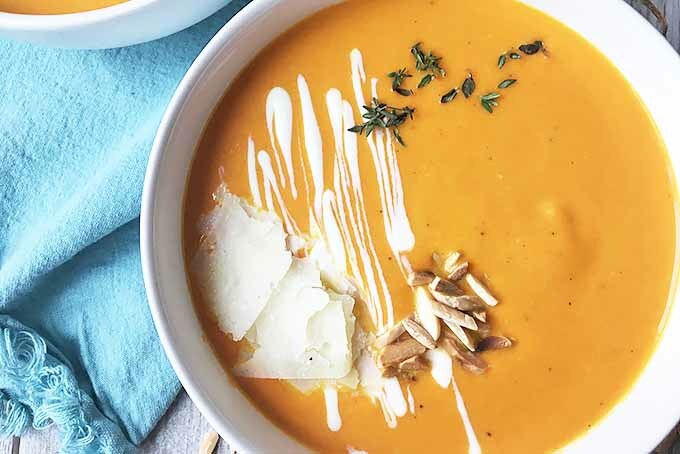 Despite the crunchy texture of crisp carrots, they make the best main ingredient for a velvety soup. Our homemade recipe has a silky-smooth texture you’ll love. It tastes subtly sweet and fresh, lightly flavored with onions and thyme. Get the vibrantly orange recipe now on Foodal, and make your taste buds light up. 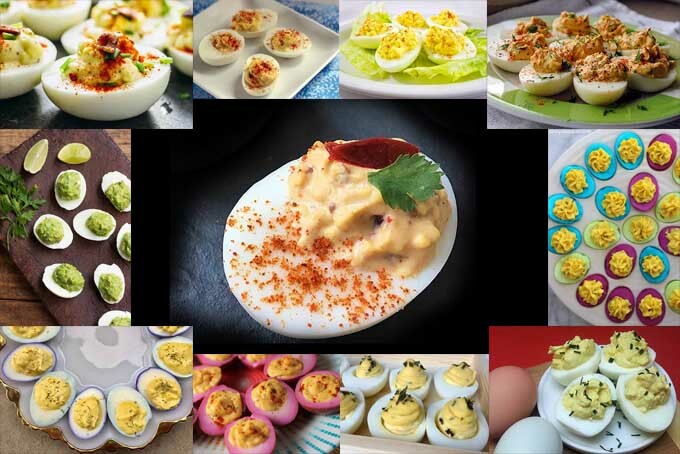 If you love deviled eggs, then you’re going to be drooling over this round up of recipes from some of our favorite bloggers. From classic versions to spicier takes and ones that use unconventional ingredients, there’s something for everyone on our list, the perfect fit for any occasion. Read more now on Foodal. Need a dessert that’s not too heavy? Light and spongy, this sweet yogurt cake is drizzled with a marmalade glaze. 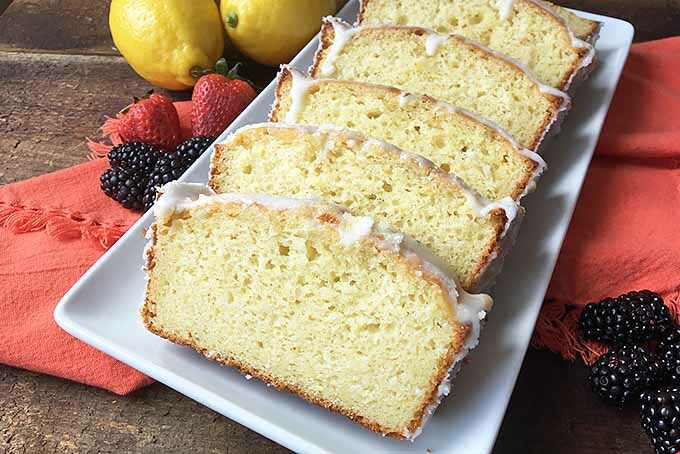 And with other simple ingredients like fresh lemon zest and vanilla, it’s an easy treat when you want to enjoy something delightfully light. Make a perfect ending to brunch or dinner, get the recipe now. Embody simple sophistication for your next vegetable dish, and aim to impress with this recipe that uses less than 10 ingredients. 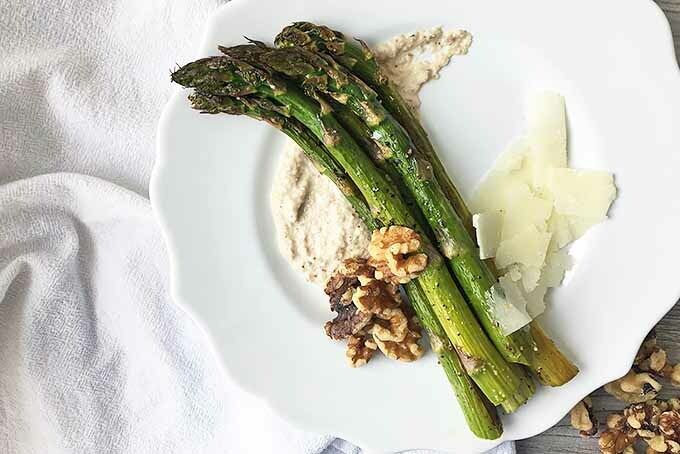 Beautifully tender roasted asparagus spears are served with a thick and creamy walnut crema sauce, and topped with toasted walnuts and thinly shaved pecorino cheese. Make it now on Foodal. 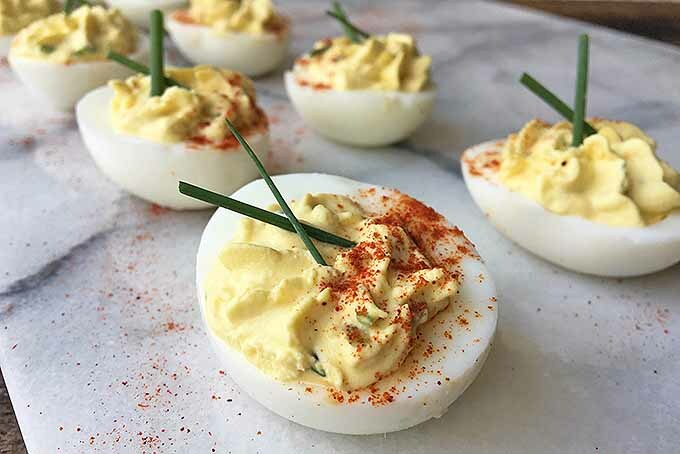 Love deviled eggs, but you’re not a fan of mayo? You can still enjoy this favorite party appetizer with our tasty recipe. Instead of mayonnaise, we use an easy substitute: but you’ll have to keep reading to find out what it is! Combined with the other classic ingredients like relish, mustard, and fresh herbs, you still get the same great taste, all in one bite! Get our quick update to this amazing dish now on Foodal. 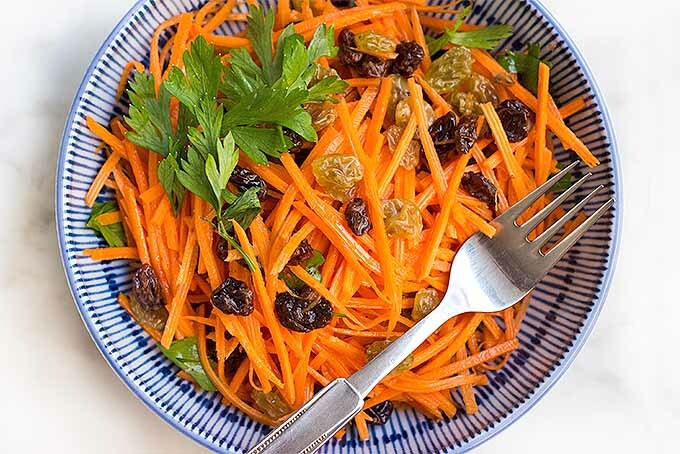 This super simple carrot raisin salad with lemon aioli is perfect for the warmer days of spring! It’s fresh, refreshing, and slightly sweet, with a deliciously easy lemon aioli that makes for a nice contrast, plus a parsley garnish for a pop of green. Get the recipe from Foodal today!